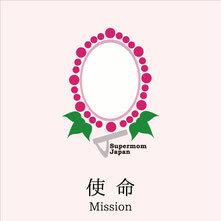 Supermom Japan was founded in 2011 in order to change the Japanese approach to English education and the focus of our approach is learning to speak about Japan and yourself in English. This is why we research and develop English-Japanese educational materials based on matters about Japan for Japanese. In December, 2012, our first bilingual picture cards based on Japanese mythology from the Kojiki came out after 5 years of planning and 2 years of production. We were very pleased that we were able to accomplish work in the year which marked the 1300th anniversary of the completion of the Kojiki. As we have already mentioned, we originally created the cards for the sake of Japan and Japanese; however, we though it would also be very useful for non-Japanese who want to learn about Japan and Japanese in a simple, fun way. If you want to know about Japan and learn Japanese, start from here.